A washer and dryer in one 24" wide space! 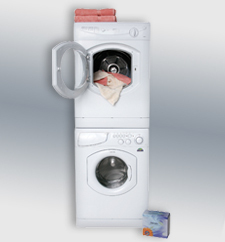 Find out more about America's favorite space-saving laundry solution. Westland Sales introduces a new space-saving dishwasher. 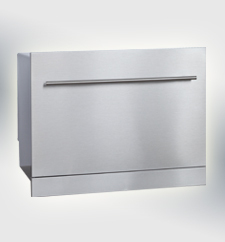 Learn more about the VESTA™ DWV322CB Countertop Dishwasher. Westland Sales introduces a new built-in dishwasher. 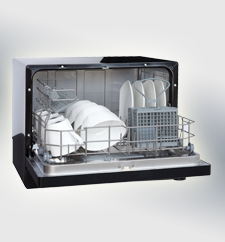 Learn more about the VESTA™ DWV335BBS Built-In Dishwasher. Westland Sales is a highly recognized, financially stable corporation that has supplied quality products to the North American RV, Marine, and Multifamily industries since 1967. 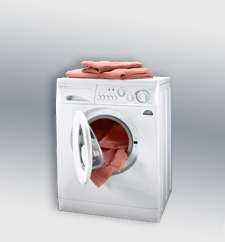 Westland Sales specializes in energy efficient, compact and built-in appliances for use in small-space applications. Westland Sales is Headquartered in Clackamas, Oregon, a suburb of Portland. As suppliers , Westland Sales works closely with product engineers in the design and application of high-line compact appliances and other products for safe, effective use in RV's, Watercraft, and other small spaces. As manufacturer sales agents , Westland Sales is proud to work with the industry leaders that continue to set the benchmarks for outstanding industry commitment, unmatched quality and superior performance. At Westland Sales, we know that providing the right product is only half our job. To serve our customers better, we employ the leading business hardware and software. Our customers benefit from rapid response to information inquiries, high-speed order/invoice processing, and enhanced global/North American tracking capabilities. Our business partners are as diverse as the products we supply, but they all share one common trait: the desire to lead. They're committed to having the best products in their respective industries. And they choose to work with us because we're dedicated to helping them reach that goal. For more information about the products and services that Westland Sales offers, or to request a catalog to review, please contact our Corporate Headquarters today.